Everyone loves playing games. If you are looking for a Halloween activity that’s both educational and fun, look no further! 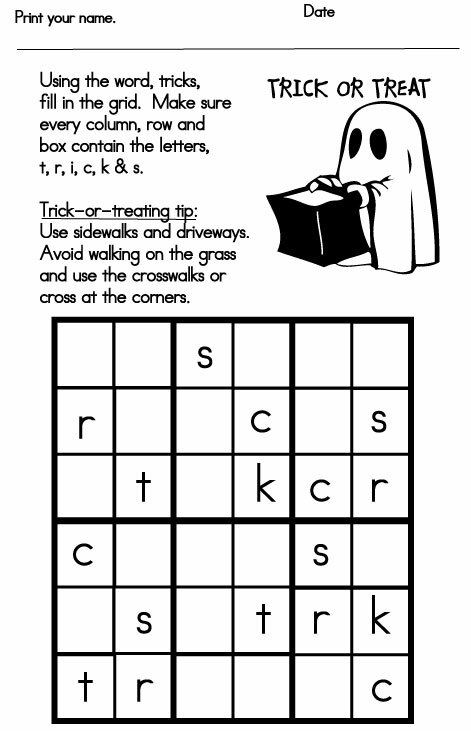 Sudoku puzzles are perfect for a classroom Halloween party or to have a child fill in upon completion of his school work. 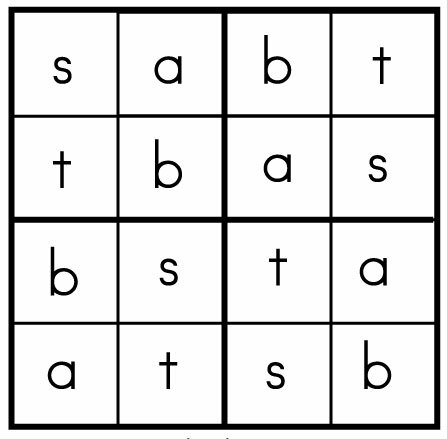 The following Sudoku games are easy to complete. 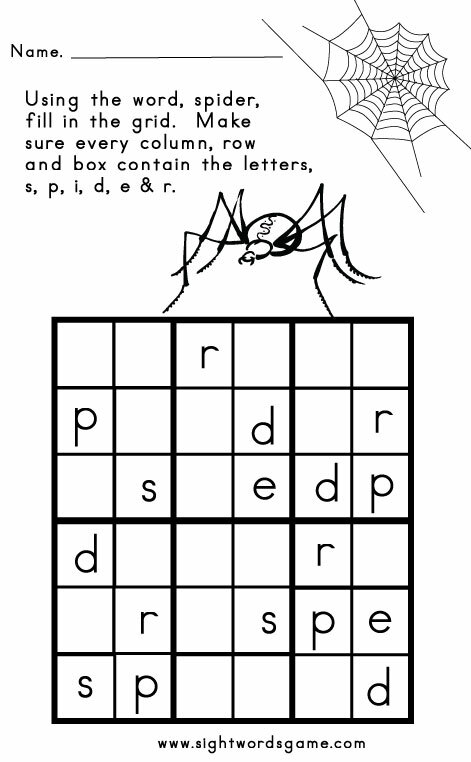 They use only 4 letters making it a good exercise for a child in kindergarten or first grade. 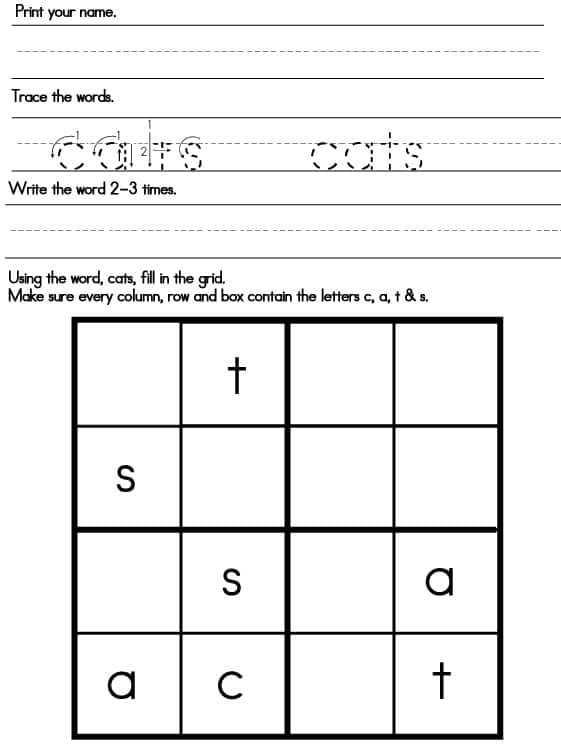 In addition, we also show a child how to properly form the letters in the words, cat and bat, and include a sentence strip to practice writing the word a few times. 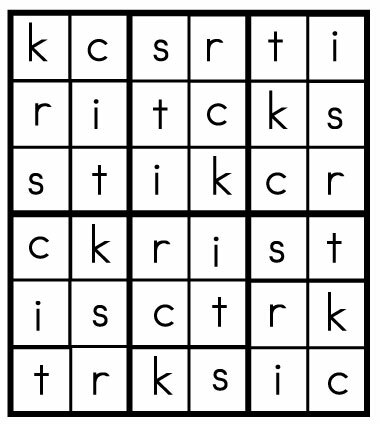 Fill in the Sudoku grid so that every row, column and box contain the letters, “c” or “b”, “a”, “t” & “s”. Make sure the letters appear only one time in each row, column and box. 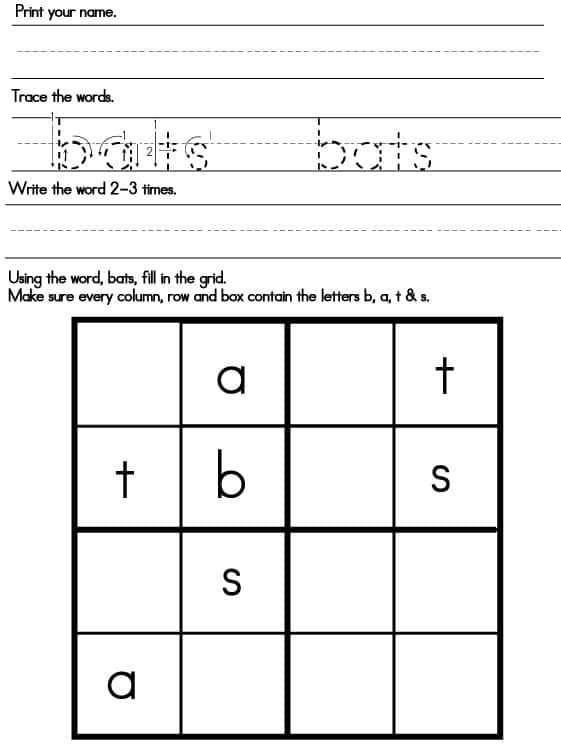 Please note: there are twelve possible combinations of the words bats & cats – 4 groups for each box, column and row. 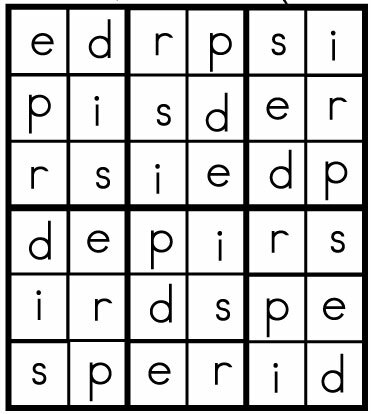 Sudoku games using 6 letters are more difficult to complete compared to the 4 letter puzzles. 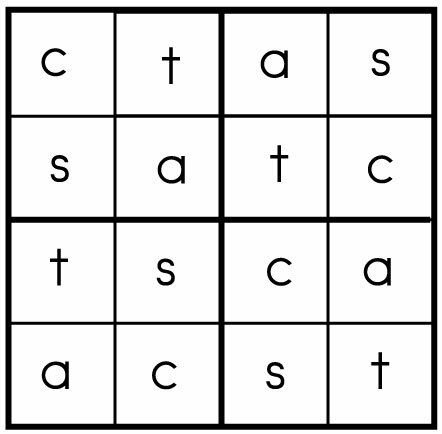 If your child or student struggles, offer assistance and teach them any tricks you may know on how to solve this puzzle. Halloween is such a festive holiday filled with parades, parties and a lot of candy. Playing Halloween games are fun activities to do at any party!